Just putting this out there right now!!! 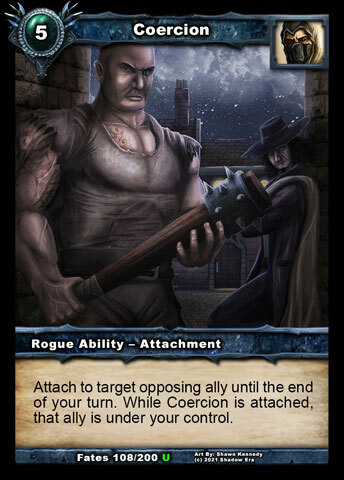 This combo of Disguise Kit and Thoughtripper's Cutlass is absolutely obscene!!! 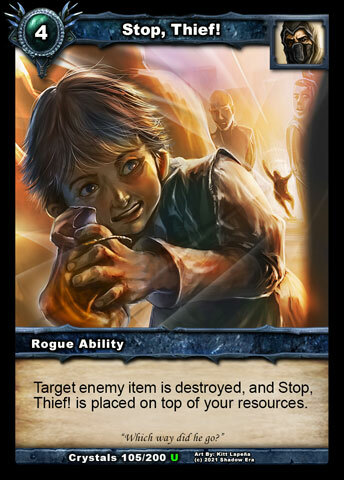 Acivate the Thoughtripper's Cutlass and your stealing 2 cards!! 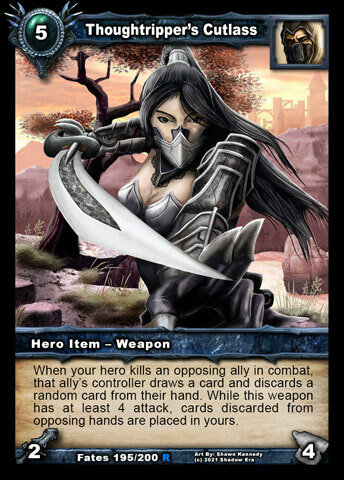 from opponent with an attack on them or ally!! 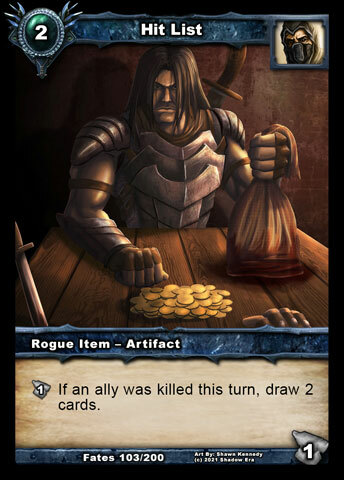 Putting together a deck that replaces Black Garb for Metamorphic Cloak and using to boost Disguise Kit and maybe Hit List for draw, weapons..
Any thought or strategy you would like to share sing out... Aldmor allies for Serena Thoughtripper ability, but how good are the new rogue allies!!! love the new cards well done everyone!! that's cool idea. 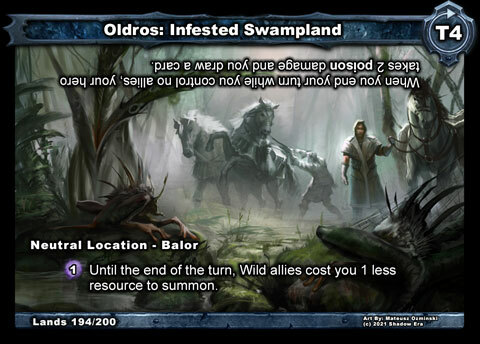 I think with Aldmor will be good! This is my current Serena Thoughtripper build. 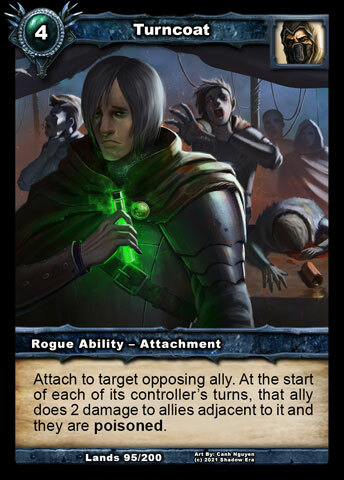 So its a bit Clunky, but knowing what to discard against varies opponents...yada yada yada. 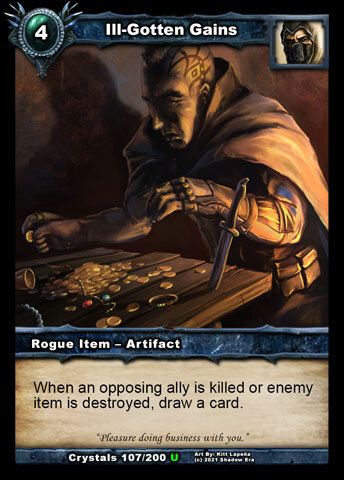 Disguise Kit is auto discard at start and mid games and you if toss all 3 then, oh well... you dont get to play today. 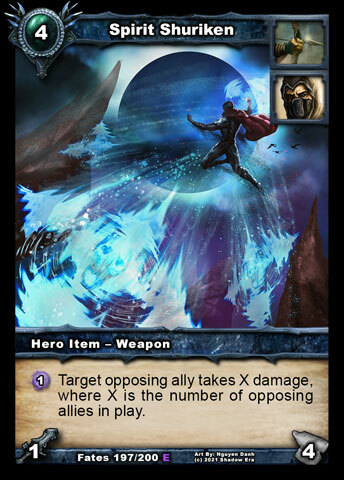 its end game control mayhem!! 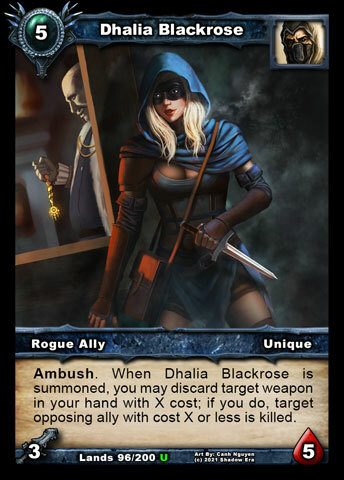 Toss card back with Covert Operative to discard or steal, thankyou very much..
Dhalia Blackrose ?? 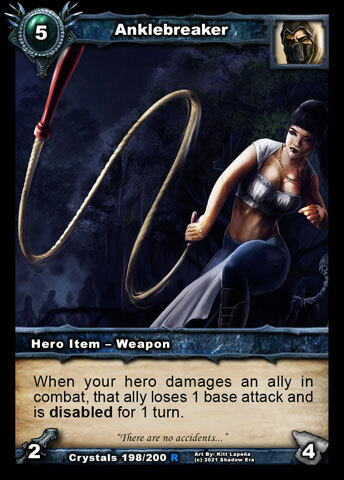 because she is new, shiny and works well Serena Thoughtripper , she is end game also, pretty obvious to why and if you get hit with Dhalia Blackrose well you should lose then right? 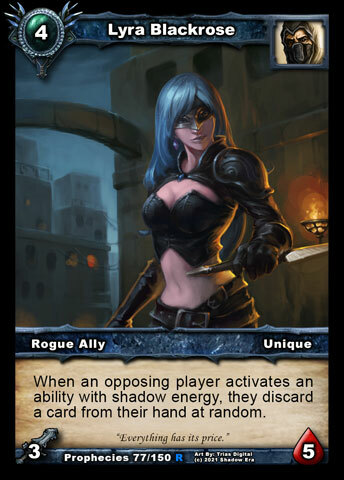 I think Lyra Blackrose would work well in this deck. It would compliment the discard theme and destroy your opponents hand. 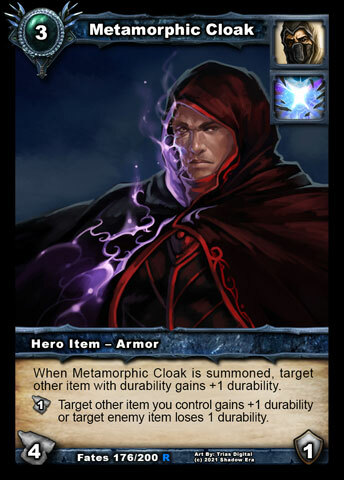 Well i have been playing this deck for a while now and i think as for the Disguise Kit , its becoming increasingly difficult to find a spot in the deck. If anything i would like to see a cost reduction, perhaps a 3 resource cost? 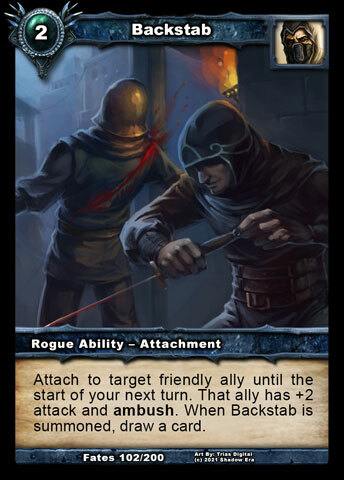 you cant use the card start or mid-game and if you do get to use it late game its a gimmick and the opponent will rarely hang around to be stolen again or twice...again. Perhaps also Disguise Kit might not suit Serena ? 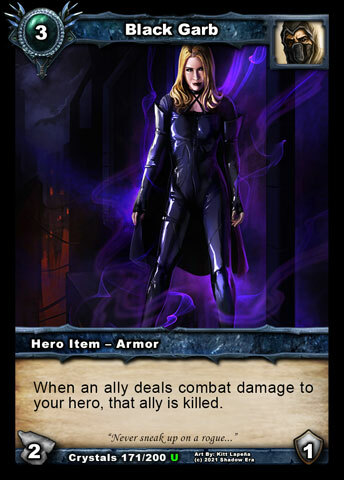 she carries a lot of items and i have also found myself with Disguise Kit out but no ally to discard? So again, unless there is a cost reduction i am having a hard time trying to make it work. 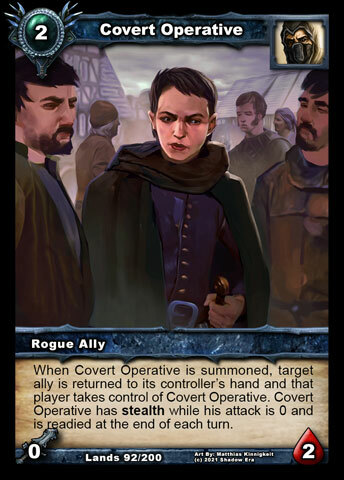 If anyone else is using Disguise Kit please throw some ideas around? 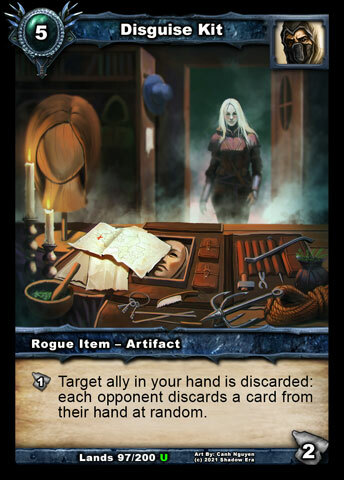 I tried it with Lyra Blackrose in few different combinations but she is lacking the tempo for discarding cards from opponent in every way i tried her. I think better without it. 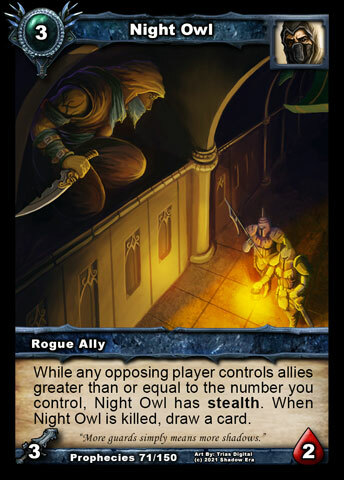 I think new released rogue allies do not compliment each other much. 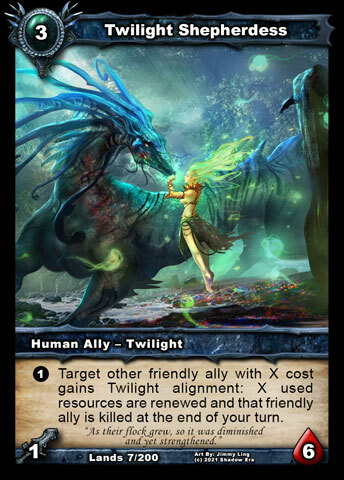 I haven't watched any good deck with new allies yet tbh. Last edited by ledrahan; 05-27-2018 at 08:00 PM. Ok lads here it is my latest version of a Serena Thoughtripper!!! 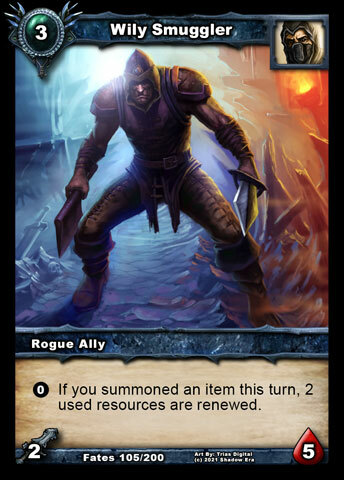 So firstly allies, quite a mixed bunch of rag-tag misfits each hold a unique spot to benefit the deck combo. 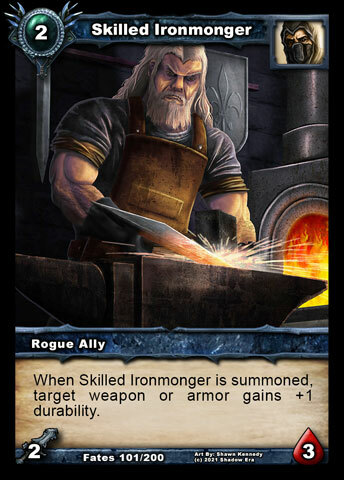 Skilled Ironmonger keeps weapons around, Covert Operative...wow! main combo piece is with Turncoat take note i am catching a lot of people with no counter to this, but throw enemy ally back to hand is gold for Serena Thoughtripper ability. 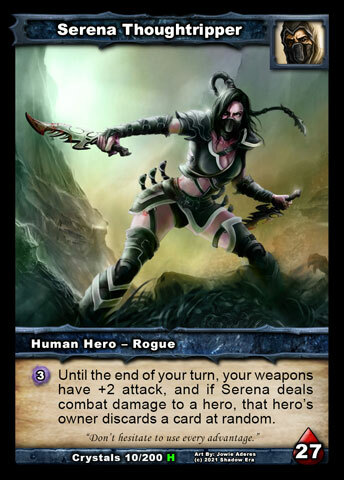 Zailen Crusader and Twilight Shepherdess combo with Coercion and if you have kept up with some of my builds in this forum then you also know this combo very very well Willy Smuggler makes things cheap. 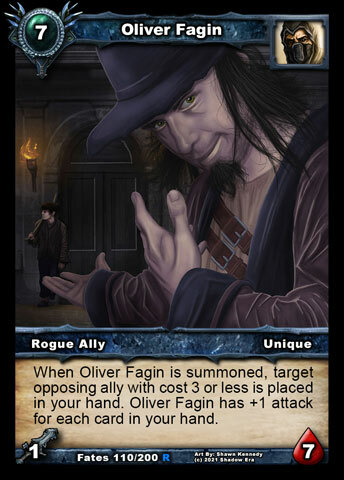 Last two allies Jace Mortlock benefits from Serena Thoughtripper ability and Oliver Fagin for his ability. 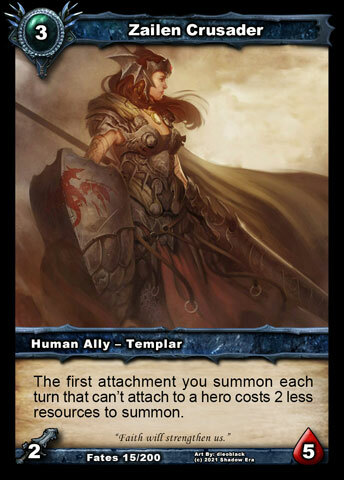 The rest is some stock standard Serena Thoughtripper stuff... comes in at 50 cards, its a kinda slow burner deck, once its started its ripping the opponent apart, again and again Coercion is the stand out card, disrupts opponents momentum. 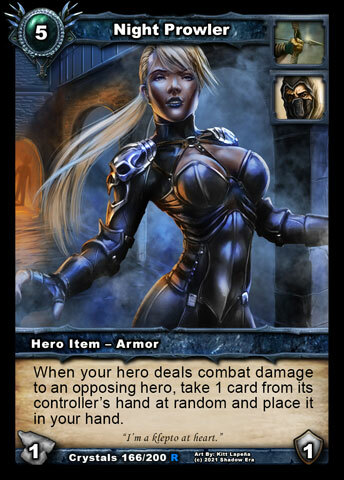 Catching people top decking mid game and watching Serena Thoughtripper building her item collection is a common look.